The Institute for Plasma Research can trace its roots back to early 1970's when a coherent and interactive programme of theoretical and experimental studies in plasma physics with an orientation towards understanding space plasma phenomena was established at the Physical Research laboratory. The early studies were on simulation of E x B instabilities characteristic of the equatorial electrojet, plasma-neutral gas interaction with relevance to the cometary plasma-solar wind interaction and single particle confinement in non-adiabatic magnetic mirrors. Experiments on non-linear ion acoustic waves and double layers were added later. High power plasma experiments using intense electron beams to form compact toroids and electron rings in toroidal devices started in 1978 reflected a re-orientation to fusion-relevant experiments. A proposal to the Government of India to initiate studies on magnetically confined high temperature plasmas was accepted in 1982 and resulted in establishment of the Plasma Physics Programme (PPP) supported by the Department of Science and Technology. Design and engineering of India's first tokamak ADITYA started at the same time. 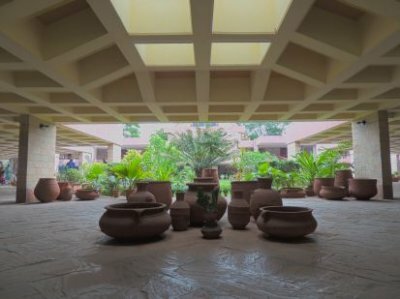 In 1984 the activities moved into an independent campus at Bhat village in the outskirts of Ahmedabad city in 1984. The PPP evolved into the autonomous Institute for Plasma Research under the Department of Science and Technology in 1986. With the commissioning of ADITYA in 1989, full-fledged tokamak experiments started. A dynamic experimental programme focusing on transport due to edge turbulence has resulted in major discoveries in this field. This period also saw development of new programmes in plasma processing and basic and computational plasma research. With the decision to build the second generation superconducting steady state tokamak SST-1 capable of 1000 second operation in 1995, the institute grew rapidly and came under the administrative umbrella of the Department of Atomic Energy. Major new programmes in pulsed power, advanced diagnostics, computer modelling, development of RF and neutral beam heating systems etc. also came into being. The industrial plasma activities were reorganised under the Facilitation Centre for Industrial Plasma Technologies and moved to a separate campus in Gandhinagar in 1998. IPR is now internationally recognized for its contributions to fundamental and applied research in plasma physics and associated technologies. 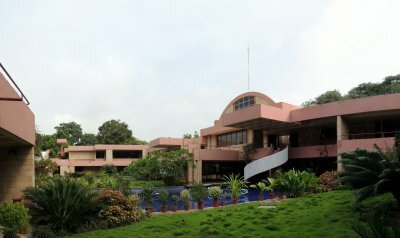 It has a scientific and engineering manpower of 200 with core competency in theoretical plasma physics, computer modeling, superconducting magnets and cryogenics, ultra high vacuum, pulsed power, microwave and RF, computer-based control and data acquisition and industrial, environmental and strategic plasma applications.